This compelling text provides an overview of the available technology for early detection and therapeutic management of vascular risk factors to Alzheimer's before severe cognitive impairment symptoms appear. Chapters bring the reader from the trackless clinical research that has characterized Alzheimer's progress for the last 20 years, to a nexus of new ideas and concepts that can change our outlook of this dementia. In-depth examinations of various hypotheses, preventive measures, current and prospective treatments are openly and clearly explored. 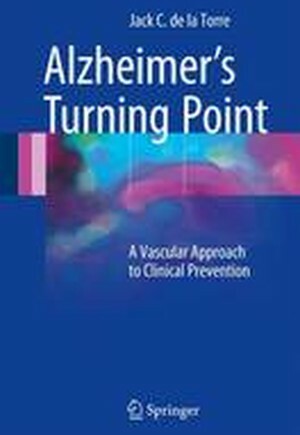 The author discusses in depth his proposal of the vascular hypothesis of Alzheimer's disease which has become a mother-lode for basic and clinical studies and a key approach to the prevention of this dementia.Alzheimer's Turning Point offers professionals, students and those looking to learn more about this disorder a fresh clinical perspective of this devastating disease.